I was recently asked about the use of questions in spiritual conversations. How do you get an evangelistic conversation started? Randy Newman wrote a great book called: Questioning Evangelism. Why is history littered with such hatred by Christians (e.g, Crusades)? Why do some non-Christians I know behave better than Christians? Why are they so full of self-righteousness, and full of hatred (e.g., homophobic)? I thought Christians were to be _____________ (fill in the blank). Jesus railed against hypocrisy (see Matt 23), so He, too, is against it. But we might need to remind people that profession (what people say) often doesn’t line up 100% of the time with what they do. It’s a lack of authenticity that people are reacting against. The Christian experience is not about perfection, but a journey towards perfection, where our character is being transformed. Do you think ALL Christians are hypocrites? Why do you think that? Are you saying that the church is FULL of hypocrites, or some? Do you think hypocritical behavior is the NORM for all Christians? Why or why not? Do you think hypocritical behavior is the kind of behavior that Christianity teaches? If given an example of a hypocritical Christian, we can certainly agree it was and explore it a little. Your right, church is full of hypocrites. Well, sometimes I can be a hypocrite as well. We’re all hypocrites if we think hard about it. Aren’t you a hypocrite some of the time? Don’t you fail to live up to your own standard at times? Don’t you, on occasion, say one thing and do another? Why does hypocrisy bother us so much? What is it about hypocrisy that makes you want to scream? Why are you bothered about hypocrisy? I think that hypocrisy bothers us because it points to some sense of right and wrong, you think? If we hate it so much, could be be a sign that there are some other way to be? What do you think? The fact that we are all hypocrites points to the hardness / evil / deceptions in our own hearts (the sinful nature). The fact that it bothers us points to a sense of morality and judgement. Following Christ can help us deal with our hypocrisy, find forgiveness for it, and find the Spirit’s help to overcome that failing. Randy Newman wrote a great book called, Questioning Evangelism Order your copy from Amazon. Check out the questions category for some articles that have a free download. I found this article from That Guy with the Nametag about 62 types of questions and why they work. 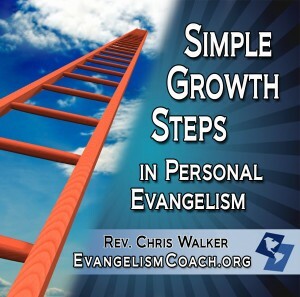 Start here with this MP3 Download on Practical Evangelism Training from the store to help you see where you need to grow.